170102 was the first three car Class 170 to be painted into Arriva Cross Country livery, although when this photo was taken the interior had still not been altered. 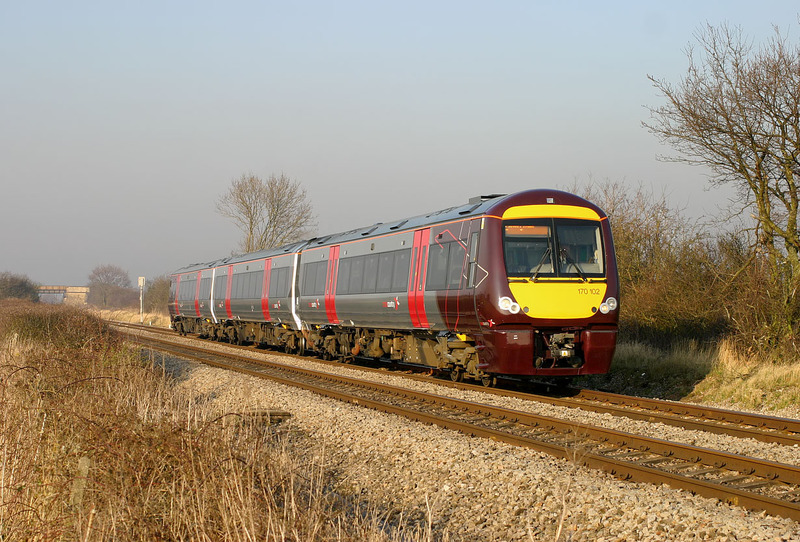 The ex-works unit is pictured passing Tredington at speed with the 13:00 Nottingham to Cardiff Central Cross Country service on 13 February 2008. I'm not too sure about the large X on the dark red front end, which at first sight looks like vandalism or some other damage, but otherwise quite an attractive livery.